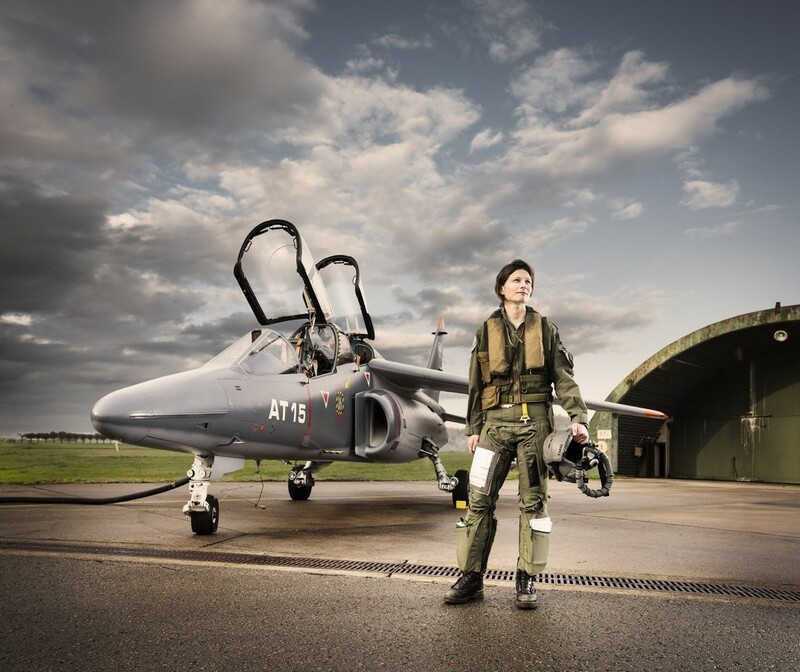 A little while ago I was asked to photograph a (female) flight-officer of the Belgian Airforce. I like my jets, so a very exciting job, indeed! We met the charming flight-lieutenant on the tarmac, just as she returned from a training flight from France. But of course you can’t just move a jet to what you consider to be a ‘nicer location’, so it was all hands on deck in post-production. I decided to remove the trees completely, and insert a nice summer sky photo from my archieves. All in all not too dificult, but quite time-consuming. good fun nonetheless, and with rather pleasing result I thought! On the right you see the final retouches image, next to the RAW-image as it was shot originally. 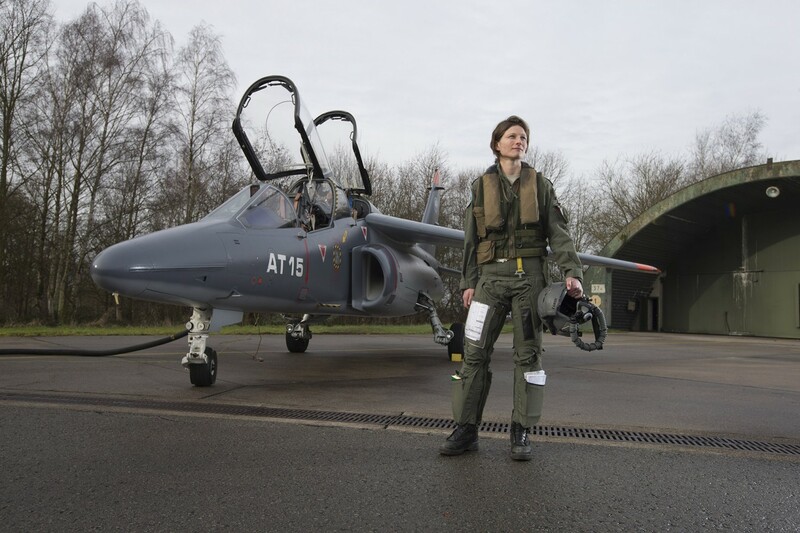 Many thanks again to flight-lieutenant Karen Vandenbroucke and the helpful staff of the Belgian Army press division.